Famous for it’s coral sandy beaches and endless luxury resorts, the Mayan Riviera is a beautiful stretch of Caribbean coastline in southeastern Mexico. It’s a tourism hotspot for Canadians looking to escape the winter blues and has become an increasingly popular place for destination weddings. We were married in the Mayan Riviera 5 years ago and highly recommend it to anyone looking for a casual, less traditional wedding experience. We’ve traveled a lot over the years and still view our destination wedding in Mexico as one of our favourite and most memorable travel experiences. You can imagine how excited we were when our good friends decided to get married in the Mayan Riviera. Fortunately for us, the timing of their wedding couldn’t have been better, falling within a few days of our 5-year wedding anniversary. Like many Canadian couples we know, our friends chose the Gran Bahia Principe as the resort to host their wedding. 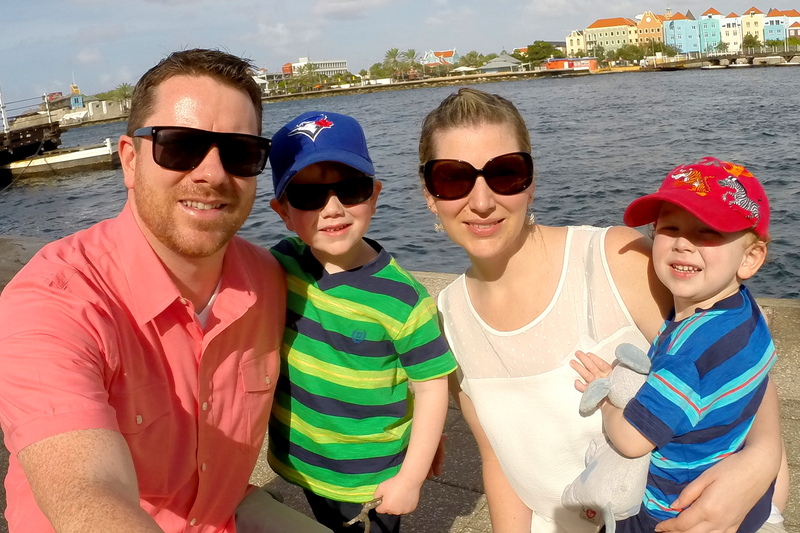 We know firsthand how difficult it can be to chose a resort for a destination wedding (and a family vacation), so we thought it would be helpful to shoot some video of the resort and offer some feedback about our experience at the Gran Bahia Principe Akumal. The Gran Bahia Principe is a VERY big complex with 3 family resorts, 1 adult only resort and a private golf course. Akumal has 630 rooms, Tulum has 858 rooms, Coba has 1,o80 rooms and Sian Ka’an (the adult only resort) has 420 rooms. That’s almost 3,000 rooms in the resort complex! The beach. The sand is silkly soft and appears to be groomed every morning. The swimming area is protected by man-made barriers, making it a safe place for kids to swim (although they are not very attractive). The pools. The main pool is quite large and windy, with several bridges and sheltered sections that make it feel private. The other pool is used for water sports and activities, ideal for families and people looking to have some fun in the pool. There is a pool bar, but it’s not connected to the main pool area. The rooms are large. We were provided a baby bed for Baby B and still had plenty of room for him to run around. There was a couch, a table with two chairs, lots of closet space and a good sized private patio. Bathtubs in the room. Many resorts only have showers, which is totally fine for most adults, but when traveling with a baby a bathtub is essential. Lots of loungers. We never had a problem finding loungers by the pool or the beach. We never had to reserve chairs and we always found loungers with shade, which is ideal for a fair skinned baby and dad. Good transportation. The resort is massive, so walking between Coba and Tulum can be quite the hike, especially with a baby. The resort had several trains and golf carts running at all hours, so we never had to wait long. Great food selection. We stuck to the buffet because it allowed us to find a variety of food for Baby B. He takes after his mom and can be quite picky with food. He also gets cranky when he’s hungry (he gets that from his dad) so it was convenient to be able to get his food right away and not have to wait for table service. There were lots of high chairs available and the service in the buffet restaurant was quite good. The menu changed everyday and there was a lot to choose from. The food was quite good for buffet-style dining. We give it a 7.5/10. It’s HUGE. Although the transportation was good, it’s easy to get lost and it was hard to find our friends during the day. The stretch of beach from Akumal to Tulum is very long, I’m guessing well over a mile (although this is a good thing for beach walkers!). Limited beach activities. Because the beach is quite rocky in some places and there are strong breaks (the red flag was always posted during our stay), there are no waterfront activities like snorkeling, kayaking, jet-skis, etc. This was disappointing because it meant we had to leave the resort if we wanted to snorkel or kayak. Guests have to rent the safe box in the room for $5 per day. It’s a stupid charge that makes the hotel look cheap. On top of that, you are given a key lock instead of a combo safe. We assume there are several master keys, so we didn’t feel like our important belongings were safe. No free wifi. Guests can purchase WiFi that does reach the rooms ($45 for the week, I think? ), but the only free WiFi is offered in the main lobby. It was quite comical watching dozens of people congregating in the lobby to check their emails and send out tweets. It would be nice to have access to WiFi while lounging by the pool. And the resort would likely get more social media exposure if guests had the ability to spread the word easily. Beds are hard and uncomfortable. If you like hard beds, you’ll be just fine. But if you’re like us and prefer a softer bed, you’re in trouble. We didn’t sleep very well and woke up feeling sore every morning. Slippery floors. All of the floors in the rooms and in the restaurants had tile, which was very slippery for a baby just learning to walk. Baby B fell a number of times and banged his head pretty bad in our room (he had a big purple goose egg on this forehead within minutes). Rooms smelled bad. The moment we walked into the room we were greeted by a musty odor that never left. We asked about the smell and were told it was because the doors were closed all day. Not true. Most of our friends experienced a similar smell in their rooms. Now, we understand that it’s a tropical environment and previous guests likely sat on the couch and bed in wet clothes after being in the ocean or pool. But, that understanding didn’t make things smell any less. There are ways to combat this smell but it doesn’t seem to be a priority. Maid service was inconsistent. When we arrived we only had one beer and one soda in our mini-bar and no coffee (but lots of sugar). When we spoke to the caretaker of our building he made sure we had plenty of supplies the following day (we gave him a decent tip for his attention). But after two days, our well stocked mini-bar was back to being empty and we continually had to ask for bottled water. We enjoyed our time at the resort. The food was good, the service was good, the beach was good and the grounds were well maintained. That said, we would not classify this as a 5-star resort. We likely wouldn’t return unless there was a reason (ie. another destination wedding or family vacation). 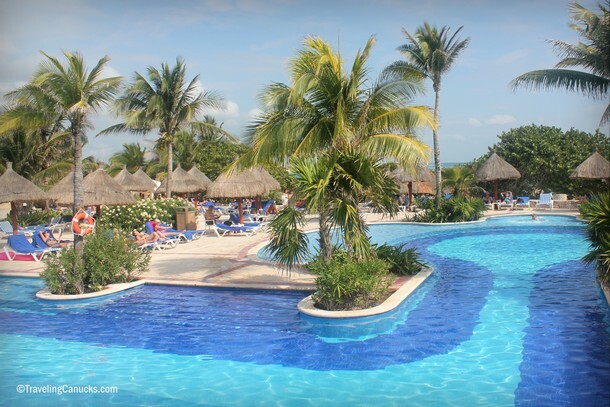 It’s not that the resort was bad (it was good and we think you’ll enjoy yourself), it just wasn’t good enough for us to give it a second go around, especially when there are so many other resorts in the Mayan Riviera to choose from. 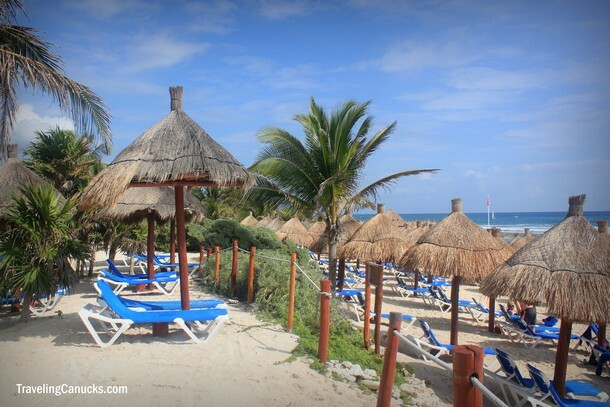 Have you visited the Gran Bahia Principe Akumal Resort? Share your experience in the comments section below, we’d love to hear about it! We’ve heard that from a few different people. In fact, we had a friend that stayed at Tulum because he got a better deal, but he had to walk 20 minutes to our part of the beach every day. We went for a 2 weeks, all inclusive vacation there about 6 years ago. We had a great time! We thought the food was really good and the beach was beautiful…however, we did have quite a few cocktails while we were there so maybe that made everything seem great? i am getting married in july this year, I was looking for inexpensive places to get married. i think we also would go to Mayan Riviera. thanks for such a beautiful description of the place. That was one great place to visit in Mexico. Swimming pool is very huge and I really love beach. Glad you enjoyed your trip Richard! Sorry for the late reply – how did the trip go? !